The aging, healthcare and special needs conversation is vitally important to you and your family. Except for government employees and Social Security, retirement plans that pay benefits until death are pretty much a thing of the past. Plus, people today are living longer. Yet retirees’ need for income that is sustainable and that they will not outlive is unchanged. Adding to the problem, the cost of health care continues to rise more rapidly than inflation and is now one of retirement’s biggest expenses. Increases in longevity and starting families later means that many people who are nearing retirement age today also have responsibilities to their parents and their children. In addition, two major bear markets and historically low interest rates have taken a toll on many people’s retirement savings. For all these reasons, many people today are understandably concerned about how they will make it through their retirement years. In this issue of The Wealth Advisor, we will look at how demographics and economics are creating a longevity risk for retirees, why longevity risk is more often primarily a woman’s issue, and the generational issues. In financial planning, “longevity risk” in retirement planning is the risk of outliving a plan to spread resource use over anticipated remaining life. The primary wild cards that create longevity risk in retirement planning are the retiree’s future health care costs and longevity. The U.S. birth rates jumped up in 1946 (the year after the veterans returned from World War II) and did not drop until the use of oral contraceptives became widespread in 1964. Those born in this period are referred to as the “baby boomers.” The baby boomers are now age 49 to 67. Some 8-10,000 of them retire every day. Life expectancy has risen 60% in the last century. At age 65, an American male in reasonable health has a 50% chance of living to age 85; for females, it is 53%. For a 65-year-old married couple in average health, there is a 72% probability that one of them will live past age 85. Fidelity also projects that a female age 65 has a 50/50 chance of living to age 88 versus age 85 for a male. [ii] Because of the usual age difference between spouses, those longevity differences and higher rates of divorce, the vast majority of women in the U.S. will die single. Without a spouse, the probability of needing third party care increases. That could mean higher costs for care or a burden on adult children. Many boomers have responsibilities both to their aging parents and their adult children in addition to their own personal, financial, career or health care challenges. One out of four families has a care-giving challenge. Forty-five million Americans provide care for one or more family members or friends. The average number of hours dedicated to caregiving is 35.4 hours a week. That is almost equivalent to a full-time job and is mostly unpaid. Caregiving is mostly a woman’s issue - 75% of non-professional caregivers are women. Today you may be the caregiver. Tomorrow you may be receiving the care. Two-thirds of those over 65 will eventually need long-term care at home or in a nursing home, adult day care, or assisted living support. Planning Tip: Contrary to popular belief, Medicare does not cover long-term care or assisted living costs. Also, 40% of those receiving long-term care are under 65, so this is not just a problem of aging. People of all ages need to think about long-term care long before retirement. A: What is the best Alternative to meet that challenge? E: What is the desired outcome? What do you wish to Experience? Dream Resources: This is money for things you have always dreamed of having or doing. Your financial advisor can help you project how much of a retirement nest egg will be needed as Survival Resources. Next, a retirement fund for “What If” Resources needs to be set aside. Whatever is left over can be used as Freedom, Gift and Dream Resources or to fund a legacy. Advisor Expert Resource Team: Consider putting together an Expert Resource Team of advisors to help with upcoming family transitions. Advisors might include attorneys with expertise in estate planning, family law and elder law, including veterans, Social Security and other government benefits (e.g., Medicaid) planning; insurance experts who are familiar with life, health, disability and Medicare supplement options; CPA; banker; trust officer; financial planner/advisor. Many people have incomplete or outdated estate planning and health care documents. 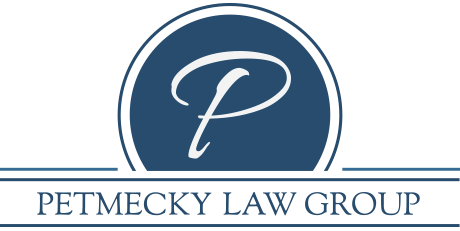 Regular review of these documents by an experienced attorney is essential to having a plan that will work when it is needed. Life insurance has also been affected by the bear markets and low interest rates. All of your policies should be reviewed by a life insurance expert. Also, beneficiary designations should also be reviewed and updated if needed. Medical Expert Resource Team: Start with an Internal Medicine or Family Practice Doctor and include any specialists you may see (heart, cancer, gynecology, urology). Consider including a nutritionist (helpful to make sure an elderly person is eating well) and an allergist (some allergies can be fatal). Caregiving Expert Resource Team: Members of this team could include a geriatric care manager; nurse advocate; nursing home ombudsman; visiting nurses; hospice and palliative care; home help services; day care facilities; health coach, personal trainer; and transportation services provider (to get to a gym or doctor appointment). Life Transitions Expert Resource Team: Aging-in-place specialists, certified home remodeling specialist (most people want to stay in their homes); grief counselor; expert on working with widows; behavioral specialists; funeral director; spiritual advisors. The aging, healthcare and special needs conversation is vitally important to you and your family. Have you talked in depth with your advisors regarding your personal concerns about your spouse, family, aging parents or other loved ones? Taking the time to plan and put resources in place now can help prepare your family for future life transitions and give them peace of mind in difficult times. Women, and divorce, the vast majority of women in the U.S. will die single. This could mean higher costs for care or a burden on their adult children. family for future life transitions and give them peace of mind in difficult times. Answers: All of the above are true.